Home » Guides » Water Softener Installation Guide 2019 | How to install Water Softener? Here you can know How to Install a Water Softener System easily. Water is rightly described as the elixir of life. When it is loaded with minerals like Magnesium and Calcium, it is considered. Although it is not hazardous, hard water can definitely cause immense problems for homeowners, the majority of them being plumbing issues. How to Install a Water Softener System? 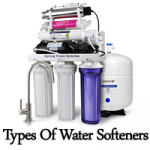 Why do we need a water softener? Lime and mineral deposits can adversely affect your appliances like washing machines, dishwashers and coffee makers. Serious problems can occur to your water heaters, as deposits to the interior of your heaters can lead to reduced efficiency and frequent failures. Hard water can also make your dishes spotty and grey your laundry. The best solution is to install a good water softener system that will eliminate most of the problems. Water softeners or water filtration systems work on the principle of “ion exchange”. Hard water is passed through a large tank filled with sodium chloride. Hard water minerals like Magnesium and Calcium bind to the sodium ions, thereby making the water soft and clean. The first step before installing a water softener is to test the water for mineral content. Knowing the hardness level of water ahead of time will help you determine the right water softener system for your needs. The first step would be to select a proper location for the unit. It should be positioned in such a way so that the soft water is available within the house. Softened water might not be too good for your plants as they need additional minerals in the water. Hence precaution should be taken to allow soft water circulation within the house but not through the outside hose. The location should also have access to an electrical outlet and a drain for water discharge. The first step would be to install the bypass valve with the water softener unit. Water softeners usually have a bypass valve to help you redirect water through another pipe. After installation, push the valve into place and secure it with the clips provided. Water softeners can be connected to water supply in two ways. One method is to hard pipe them with the existing water supply port. The major disadvantage in this method is that it is not easily removable or can be bypassed quickly. The other way to attach water supply is to use flex lines. To do this cut the copper water line and install the adapters that can fit the flex lines. These adapters can be soldered or can be a push and fit model. Now screw the flex lines to the adapter on one end and connect the other end to the water softener system. While connecting the flex lines make sure to connect the inlet of the valve with the incoming water supply line. The outlet of the valve should be connected to the water supply system that goes into the house. While tightening the flex system, hold against the lines to avoid breakage, especially when there are plastic parts involved. Water softeners should be connected to a drain port to drain the water discharged during the water regeneration cycle. We can provide various drain points like a standpipe, utility sink or a floor drain area. To accomplish this, connect the drain tube to the softener drain pipe. Also, connect the overflow hose to the elbow part of the drain present in the tank. Position both the hoses properly to ensure smooth drainage of water. The two hoses also require an air gap and hence might not fit into any drain pipe. Ensure that the hoses are placed above the standpipe. Make sure to install a trap for the drain system. The final step in the installation guide would be to add the required amount of salt to the tank and switch on the power of the system. A manufacturer’s guide on the type of salt and the amount of salt required might come in handy, in this step. Make sure to turn on the water supply slowly to avoid damage to fittings. Read the instructions to set up the water softener before proceeding further. You might have set the time at which the system will recycle water every day, the hardness level of water and the cycle wait times. Although self-installing a water softener system might be easy, it is better to call in an expert if you are not well-versed with the usage of various tools or the water system of your home. The experts will take care of end to end testing and installation of the water softener, thereby reducing the hassle of the homeowners. For more info on Best Water Softener Reviews, keep visiting our portal regularly. 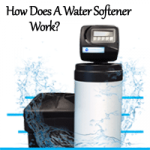 0 Water Softener Installation Guide 2019 | How to install Water Softener?